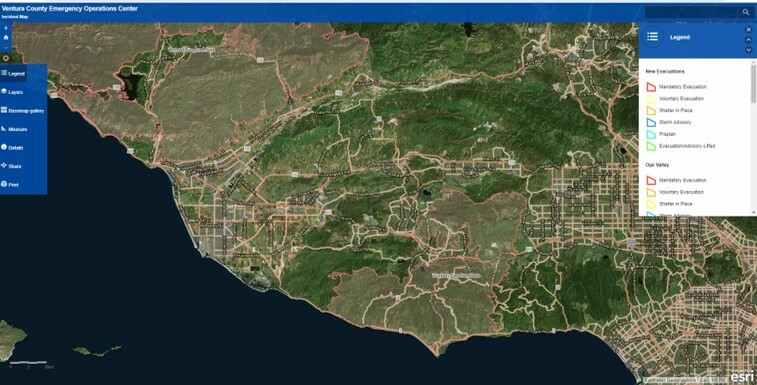 Mandatory Evacuation Orders may be initiated by law enforcement, Fire Departments, Public Health Agencies, and in rare cases some federal agencies when residents are requested to vacate the area due to an imminent threat.All non-essential persons are requested to leave the area immediately. Generally, residents will not be forcibly removed from their own property however those found to be on public property including roadways and public parks may be subject to removal from the area. Any non-essential persons found by officials traveling through, or loitering in, the area will be escorted out and not permitted to re-enter the area. Those found to be interfering with the disaster response are SUBJECT TO ARREST. Utility workers in work vehicles including Southern California Edison, the Gas Company, etc shall be permitted beyond closures for official business only. Subsequent to §409.5(d) p.c., nothing shall prevent a duly authorized representative of any news service, newspaper, or radio or television station or network from entering the area unless the area is determined to be a crime scene. Voluntary Evacuations may be initiated by law enforcement, Fire Departments, Public Health Agencies, and in rare cases federal agencies. Voluntary Evacuation orders are issued when residents should begin preparing for a potential mandatory evacuation order to be issued.Access to the area under a voluntary evacuation order may or may not restricted by a soft or hard closure. Due to the potential for rapidly changing conditions to develop into a serious threat, residents are advised to prepare for the issuance of an evacuation order. Residents should prepare personal belongings including pets and livestock for evacuation. Residents should select an interior room or rooms within their home or business with no or few windows, and taking refuge there. Law enforcement will prevent the general public from entering the area on foot or by vehicle. Subsequent to §409.5(d) p.c., nothing shall prevent a duly authorized representative of any news service, newspaper, or radio or television station or network from entering the area unless it is a secured crime scene. Law enforcement will prevent the general public from entering the area. Those residents who reside in the impacted area will be allowed access with ID.